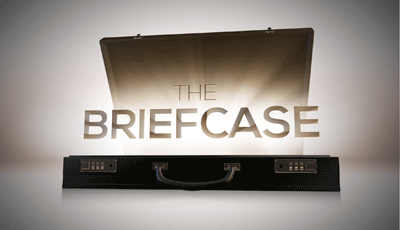 I was recently given the opportunity to preview The Briefcase, a new show on CBS airing Wednesday May 27 at 8 pm. The premise of the show is that 2 couples are both given briefcases containing 100,000 dollars. They don’t know that the other family has the same choice presented to them. CBS announces the new reality show THE BRIEFCASE, featuring hard-working American families experiencing financial setbacks who are presented with a briefcase containing a large sum of money and a potentially life-altering decision: they can keep all of the money for themselves, or give all or part of it to another family in need. The series premieres Wednesday, May 27 (8:00-9:00 PM, ET/PT) on the CBS Television Network. I wasn’t honestly expecting to like this show as much as I did. I was very moved and found myself wanting to cry right along with the couples. I was entranced by the story and it led to a very interesting discussion with my husband. What WOULD we do in this situation? Keep it all? Keep some and share some? How much? Give it all away? I would like to think that I would be the type of person to give most if not all of it away. But would I really? Take the time to watch this show and put yourself in someone else’s shoes. It will make you think about your priorities in a different light.